I have been using full LED lighting on my 3x2x2 tank since February 2010 in the form of Reef Beam 120w LED units. As a lot of people already know, I have had several problems with them reliability wise, as in the drivers have failed numerous times. Lee and Craig offered the loan of a set of the, (new to the UK) Orphek LED units whilst I got my other units repaired. I declined the loan of the LED unit, as I had managed to solder a new driver in myself. I also told them that I would be happy to do a review on the new units, but in the future. So as when I get them, I am in a neutral position, and it’s not just because I needed some replacement lights. Apart from the failures of my current LED units, I have managed to successfully keep Softies, LPS and more recently SPS corals, whilst using LEDs. Although predominately, my tank is now SPS frags growing out. I have just found out that the new Orphek LED unit will be landing at my house on Tuesday, next week. I am so excited tbh as I have already read up on these, and seen some stunning looking pictures from other people already using them. I suppose in a way, I am just like a kid on Christmas Eve, Eve. I will take a shed load of pictures between now and Tuesday of my current LED lighting, as well as all my corals, so as the journey and results can be fully documented. 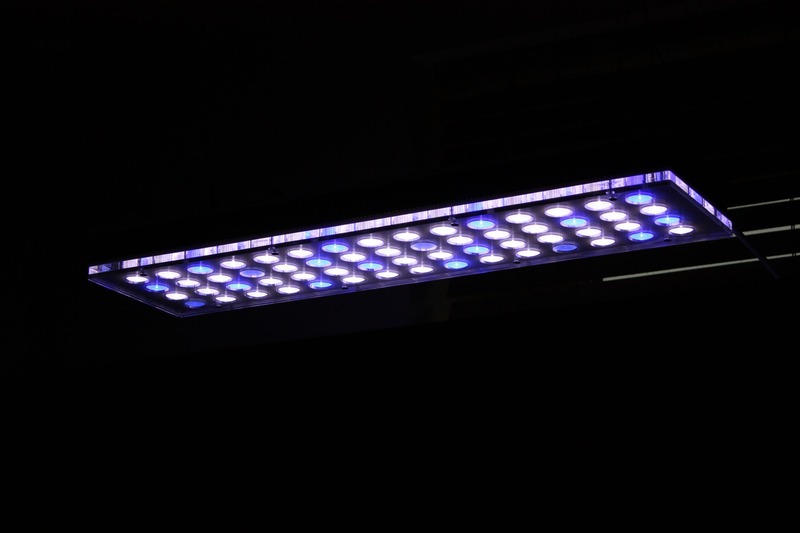 As above I cannot wait until Tuesday, so I decided to start my thread early, so as people can chip in and ask anything that they would like answering, once I have received and setup the brand spanking new Orphek LED unit. My tank is 3x2x2 and I am sure that one of these units would be fine for SPS – It’s when it gets bigger from this point I think another would be needed for sure. I got 2 of the other units that are not the most reliable LED units (in my opinion) and when one failed, moving the other unit to cover in the middle was not too bad. But…. The Orphek ones certainly look more up to the job. One thing for sure, I know my tank back to front now, even down to the issue I had the other week, I could instantly tell something was not right. The only thing I had done was add ozone, but I eventually lost 3 SPS corals almost. Removing the ozone has turned it back around and in the end I lost one, with the other 2 coming back around. The price is a little off putting is you were setting up a new tank, but then if you take into account the electricity that you would save over x amount of years, they are very cost effective. As for the look of the units, it’s got to be just like owning a Ferrari or a Porsche. They look like dog’s danglies, and one thing they have definitely got, is style. I was at Nev’s last night, and there was a coral at the far right, that had like a bluey / purply / violety hue to the tips etc and I pointed it out to him how nice it looked etc – This is exactly the same effect I am seeing now. I appreciate the corals will need to adjust to the new light, but it is just like being under the sea now. I liked the old lights, when they worked, and they were certainly very bright, but no way did they make the tank, corals, or fish look as natural as the Orphek’s do. These still need to come down yet, (from 40″) but one thing is for sure, I bet my algae cleaning days are over. Sorry about the quality of pictures, but my camera is doing really strange things for some reason. I got the blues setup to come on / stay on at 9pm (it has 4 blue LEDs) and the effect is stunning. It looks like the motor or summit in my camera lens has broken so the autofocus is goosed. Day 2, absolutely everything looks fine, apart from my camera the autofocus has definitely failed. My duncans, hammer, and trumpets are puffed up like mad. All SPS seem to be fine, and the tank still looks as good as yesterday. It is a totally different look to using Reef Beams, as in the light looks a lot more natural and as if the sun is cutting through the water. I know these are still quite high above the tank, but the overall look is a good one. Yes definitely, the whole look of the tank has changed. The test will be the corals, and if they improve I guess in all reality. Just as a point of interest, the old LED units were 4.5″ off the surface of the water, so the Orpheks are 10″ ish higher then they were, at the moment. I am just a little bit peed about my camera as it does not give the Orpheks the justice that they deserve.